Right now, more than 1 out of every 3 Americans is at increased risk from dangerous smog pollution, which is linked to asthma attacks and other serious heart and lung diseases—just because of the air they're breathing. The EPA has proposed updated standards to clean up this deadly pollution, and Americans sent in hundreds of thousands of comments championing their efforts. But Congressional attacks have already started—despite the fact that the current smog standard does not provide the public health protection that Americans need. 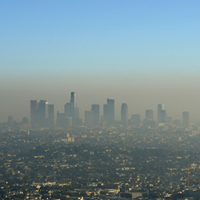 Tell Congress to let the EPA do its job, and to support strong smog standards. I strongly support updates to our national smog (ground-level ozone) standards that would provide the strongest protections for Americans and be in line with what leading medical associations like the American Lung Association recommend, and I ask that you do the same. Smog is a dangerous air pollutant that is linked to premature deaths, asthma attacks, and other serious heart and lung diseases. It is estimated that more than 140 million people live in areas with unhealthy levels of smog pollution. The very air they breathe is putting them in danger. America has decades of experience innovating to clean up the air in a highly cost-effective manner and can do so again to reduce smog pollution. A strong smog standard will help ensure Americans know whether the air they are breathing is safe, and will drive much-needed pollution reductions. Our communities, our families, and our children are counting on your leadership. Please support a strong ground-level ozone standard.